We will Create Powerful and Permanent PBN Posts FROM High DA PA Sites 10 PBN GUARANTEED! ★ 100% readable 300 : 500 words content in all PBN posts .★ Unlimited Keywords (ANCHOR TEXTS) for Maximum Diversity★ All domains are well indexed on Google★ No footprint★ FASTEST RANKING IMPROVEMENT service ON Seoclerk ! 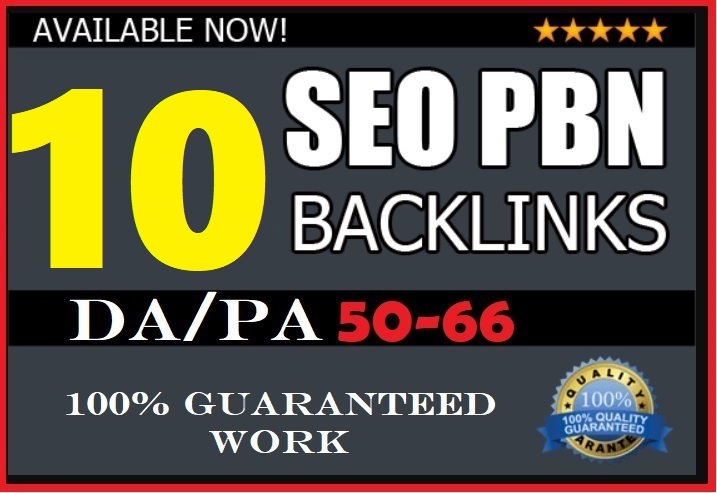 10 Powerful High PA/DA PBN Dofollow Links PA/DA Guarantee is ranked 5 out of 5. Based on 11 user reviews.